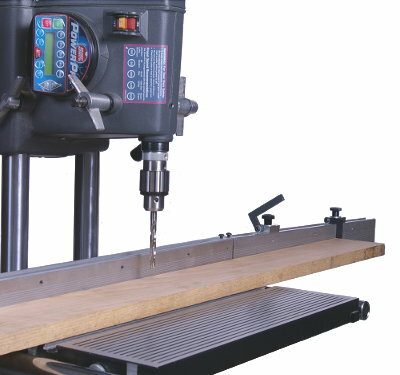 Made of the same high-quality extrusion material we use for our rip fences, these extensions give you the added height or length you need for cutting raised panels or making joinery cuts on the edges of boards that are passed through the saw vertically... ripping extra long workpieces... or line boring on the drill press. 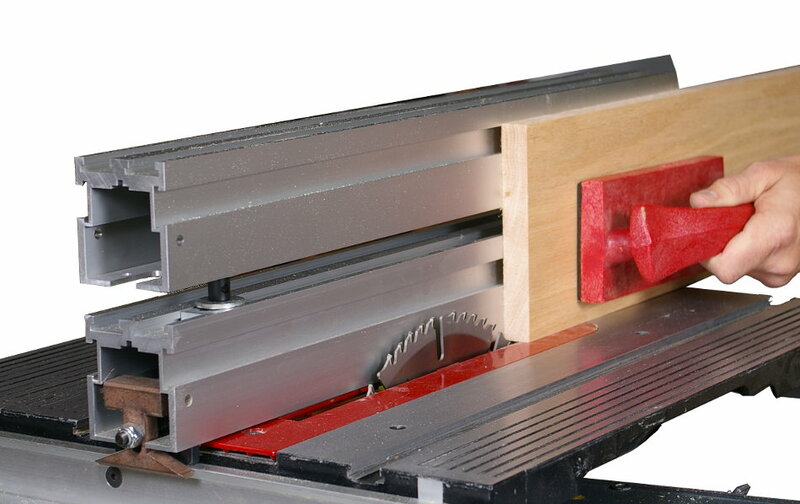 They connect to your existing fences for stacking with studs having a special reverse thread on one end... or end-to-end with our sliding T-Nuts (included). Once assembled, they are spaced precisely to accept the Shopsmith featherboards. Add optional flip stops in their top surfaces for hole spacing, etc. 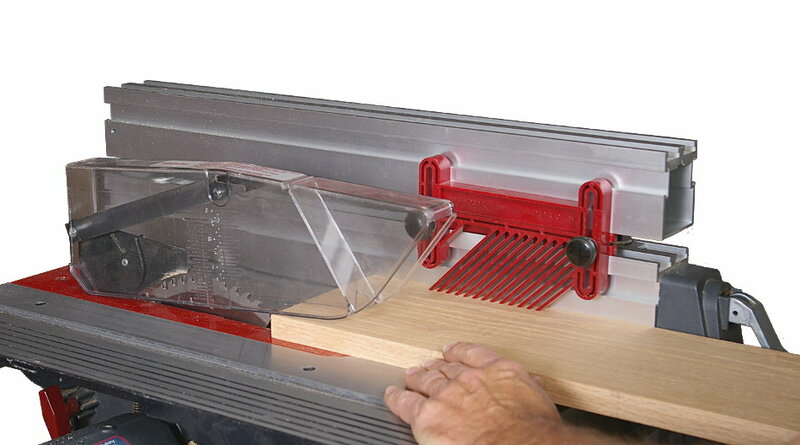 Special Components for Building Shop-Made Jigs & Fixtures 555807 Flip-Up Rip Fence Stop for your Mk V 510 (Make sure you select the correct model) Flip-Up Rip Fence Stop ensures repeatibility for a variety of operations The perfect accessory for creating multiple stopped dadoes, grooves, molding bansaw cuts & repetitive drilling and routing operations. Special Components for Building Shop-Made Jigs & Fixtures 52170801 Addition Flip-Up Fence Stop for your Mk V 510 (Make sure you select the correct model) This is an addition to your 555807/8 kit shown below The perfect accessory for creating multiple stopped dadoes, grooves, molding bandsaw cuts & r epetitive drilling and routing operations. 556237 4-High Stacking Featherboard Kit Stacking Featherboards Promise Superior Workpiece Control and Operator Safety For Many Operations Compare this with a single feather board cost- Great value!